Anyways folks, the materials I used in this are foam slats from an old set of heavy blinds, masking tape, hot glue and thin cardboard. I know this isn't the greatest, but you folks here inspired me to at least try! I posted this over in the Main forum but only got a much appreciated Welcome Aboard! I hope my questions aren't too specific. I'm well into planning my Enterprise build and am completely amazed at the amount of information on this site. At this time, I'm specifically looking at lighting the hangar and flight decks, and have a few questions. I purchased a one-page flight deck lighting plan over on FloatingDryDock.com. It's a simple drawing with a lot of information, but also raises more questions. Deck Edge Light. There are lights which appear to be just off the flight deck. It's hard to tell if the lights are on the deck or off in the netting area. Is this lighting flush to the deck or raised? I found one or two nighttime pictures, but you can't tell one way or the other. Free Deck Launch Line Light. This line of lights cuts across catapults 1 & 2. Was this ever used? Rotating Beacon. Three rotating beacons are identified on the port side of the island. Does anyone know where they are located? Somewhere high, or more near deck level? Homing Beacon. I assume this was on the uppermost part of the mast. Did this rotate? Overhead Floodlights. Does anyone know the color and locations of these lights? I did find some additional information in this video. Several multi-colored floodlights are visible. More research will be needed to determine which lights are which, etc. In various videos, I see there are lights underneath the superstructure illuminating the deck below. That lighting should be much simpler to implement. There are many videos which include the hanger deck (here, here, here, and here), and one pattern I can see is probably five rows of lights. If my measurements off of various pictures are accurate, there could be +/- 200 lights across the entire deck. Is the five row observation accurate? The lighting pattern doesn't seem to be consistent along the length of the deck. For example, there could be 10 lights visible in one row, but only eight in the next row. Was this for a reason, or were missing lights due to "plumbing" in the way on the hanger deck ceiling? There are pictures with smaller yellow-orange lights as well as smaller red lights. Are the red for nighttime use? Are the yellow-orange fixtures lights or heat lamps? I know that's a lot of questions. I appreciate any guidance folks might have. Hope to have more progress soon; still a ton of stuff to do! Can someone tell me how many deck vehicles and types were on the deck during the period of 1984 to 1990. "starter of many, finisher of none"
I am new here having only signed up yesterday. I have purchased the Tamiya 1:350 CVN 65 and would like to do the best possible job on her as I can and I want to build her to the early 80's. I have purchased the Airwing, Photoetch sets, parts from Shapeways, resin figures and other resin parts (kits) etc. 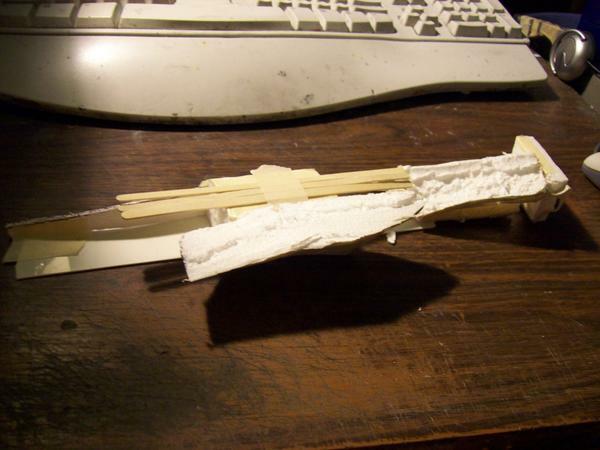 I just need to purchase EZ Line, decals various styrene sheets etc for the hanger bay and for any mods that need to be done to her. 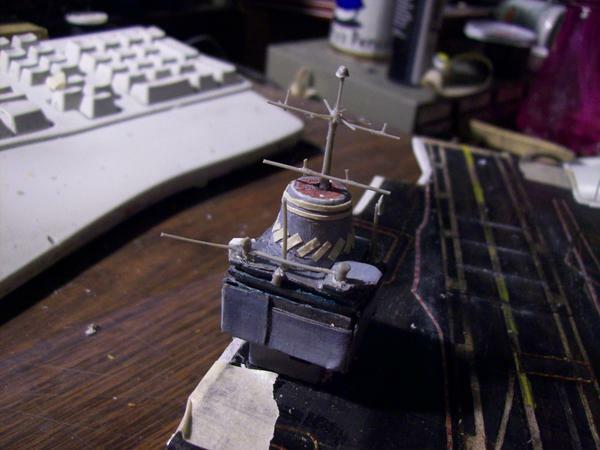 I will be building this as a Seascape diorama so will also need to purchase the parts for that too. The issues I currently face is that I am unable to locate a website where I can find some good detailed pictures of the ship in the early 80's. You could say I am becoming confused as to whats what, as there appears to be a wealth of ref pictures on the www. I am not sure what pictures are from the early 80's and whats not. I am also having issues trying to locate a seller who who sells decals for the Airwing which would include not only the F-14 but also the Prowler, Greyhound, Hawkeye and Sea king for the early 80's. I have looked into Starfighter who does sell the decals for the CVN 65 but no decals for the Airwing for the 80's. 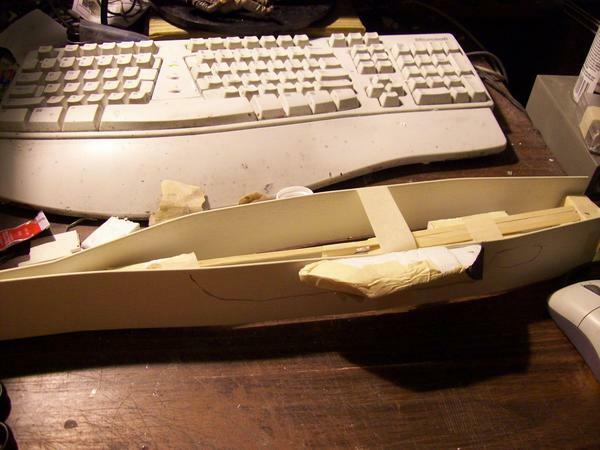 I have also located an company called Boatswain Model and emailed them, however they have not got back to me so are either not interested or gone out of business. 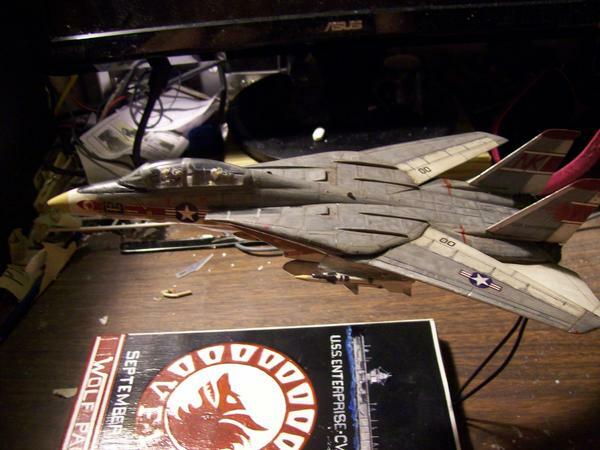 So in short if anyone here knows of a place where I might be able to purchase the Airwing decal sets for the early 80's, or a downloadable file for the Airwing in scale so I can print the decals myself and of a place for the ref pictures of the CVN 65 for the early 80's including some great shots of the hanger bay it would be gratefully appreciated. I want to do this old lady some justice when building her as I believe she was the best of the best and deserves to be built right! Apologises if this has been covered in any other topics, however I would be grateful for any assistance you guys can give me on this quest. Got Ray's first dvd and book way back then. Help out a lot. 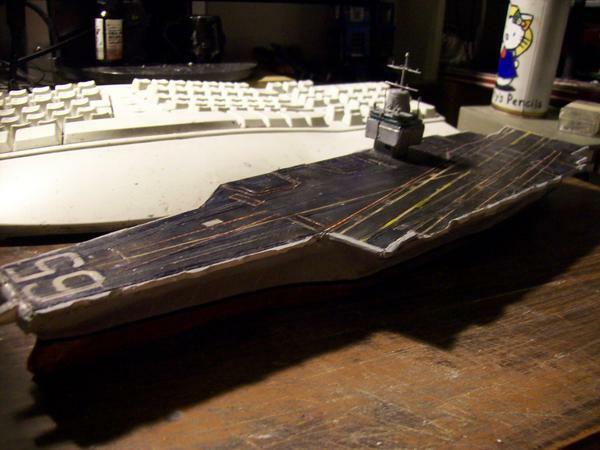 I want to put this request to the experts on CVN 65 in this forum. 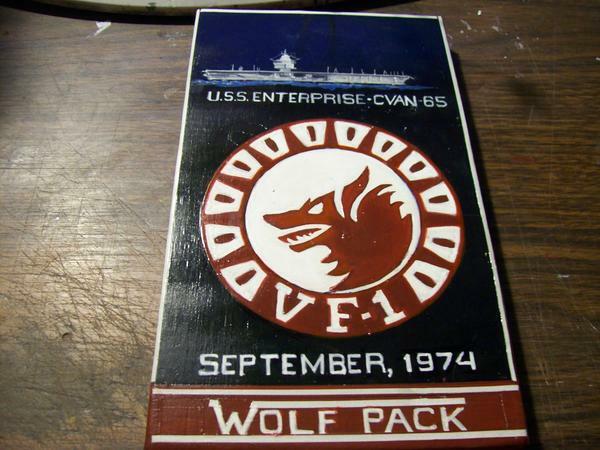 I'm looking for the Gold Medal Lo Vis CAW 11, West Coast Air wing decals for the USS Enterprise CVN 65. I realize that Gold Medal has discontinued them, but I was wondering if anyone knows where I can buy a couple sets for the 1984 version I am building from when I was on WEST PAC with the MARDET. There's a set available on eBay right now. If that doesn't work send me your email there's a chance I might have a sheet in my collection somewhere, but I have to dig. Glad you saw those. I didn't see them the other day when I looked. I was able to get all I needed. Thanks again for your help. That is very good news!!! I am trying to track down the markings for all the CVW 11 aircraft and Helicopters that served on the Enterprise between the early to mid 80's. I have found that the companies that used to make them have discontinued them. I have looked on http://www.gonavy.jp/CVW-NHf.html but I can't see the markings there and I have also looked on http://www.wings-aviation.ch/24-Naval-W ... CVW-11.htm and while there are some markings it seems to be missing a lot of data. Also the site does not appear to have all the markings from all the aircraft and helicopters for the Enterprise. Does anyone know of a better source for the markings? I have no problem with running them through photoshop or gimp to tidy up the markings and printing them myself. This is giving me a big headache from bashing my head against the wall, it also doesn't help as I have never really done a ship of aircraft and want to get this right and I am becoming very confused with the whole thing. If anyone out there who knows about the markings and where I can go to get a good source of the markings for both sides of the aircraft and helicopters and help my poor bruised and confused little brain I would really appreciate it. Still a ways to go. But getting there.